The DayWeather Radio Network began operations in 1992 by providing a group of fourteen radio stations across Wyoming, Colorado and western Nebraska with customized local weather broadcasts. This network was part of the first group of private weather companies that provided broadcast services to radio stations on a barter basis. Since then, the network has grown to nearly 80 radio stations in four states across the Rocky Mountain West and High Plains. We have provided our many advertisers with a great vehicle to market their products and messages. In addition to providing broadcast services to radio stations, we also provide customized weather forecast services for construction, aviation, agriculture, highway weather forecasting for departments of transportation, high altitude (stratosphere) forecasting services for commercial, government, and military projects. 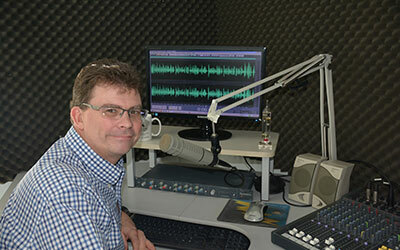 Wanting to combine his passion for radio and meteorology, president and meteorologist Don Day, Jr. started DayWeather, Inc., soon after graduation from the University of Wyoming in 1992. Don loves the challenge of forecasting weather in the Rocky Mountain West and High Plains. His experience as a hot air balloon pilot and the world of lighter than air aviation has led to his involvement in many stratospheric projects such as Red Bull Stratos and Stratex. 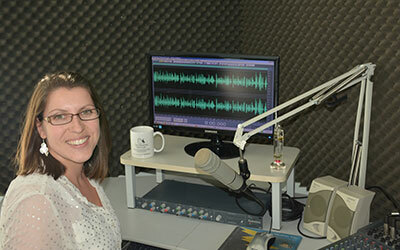 Julie Gondzar is an operational meteorologist and has been with the company since 2010. She has six years of forecast experience in the private industry field, also including radio broadcasting, operational forecasting, air quality impact analysis and road weather impact forecasting. She has a Bachelors of Science in Meteorology from Lyndon State College in Vermont, and a Master's of Science in Applied Meteorology from Plymouth State University in New Hampshire. Mark's passion for weather developed as he grew up on the plains of southeast Colorado. He graduated from The University of Northern Colorado in Greeley, CO in 1996, receiving a Bachelors of Earth Science – Meteorology degree, and a minor in Mass Communications. 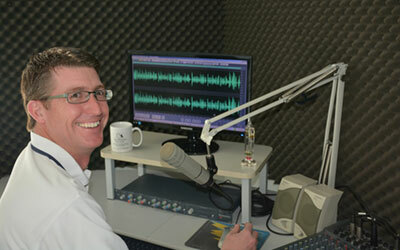 Mark joined DayWeather in 1995 and became DayWeather's Newspaper Services Manager in 2000. Operational forecasting throughout the Rocky Mountains and High Plains, broadcasting, graphics, training and new product development are Mark's specialties. Periodically, DayWeather, Inc. may offer full and part-time meteorological employment opportunities. If you are looking for a challenging career in weather and you feel you've got what it takes, send your resume to the Human Resource Department. New job listings will be posted online. Resumes will be kept on file and reviewed as positions open. No full- or part-time positions are currently available. What personally identifiable information is collected from you through the DayWeather, Inc. web site, how it is used and with whom it may be shared. DayWeather, Inc. is the sole owner of the information collected on this site. DayWeather, Inc. only have access to/collect information that you voluntarily give us via email or other direct contact from you. DayWeather, Inc. will not sell or rent this information to anyone. DayWeather, Inc. will use your information to respond to you, regarding the reason you contacted us. DayWeather, Inc. will not share your information with any third party outside of our organization, other than as necessary to fulfill your request, e.g. to ship an order. See what data DayWeather, Inc. has about you, if any. Change/correct any data DayWeather, Inc. has about you. Have us delete any data DayWeather, Inc. has about you. DayWeather, Inc. will take precautions to protect your information. When you submit sensitive information via the DayWeather, Inc. website, your information is protected both online and offline. Wherever DayWeather, Inc. collects sensitive information (such as credit card data), that information is encrypted and transmitted to us in a secure way. You can verify this by looking for a closed lock icon at the bottom of your DayWeather, Inc. website page, browser, or looking for "https" at the beginning of the address of the DayWeather, Inc. website page. While DayWeather, Inc. use encryption to protect sensitive information transmitted online, DayWeather, Inc. also protect your information offline. Only employees who need the information to perform a specific job (for example, billing or customer service) are granted access to personally identifiable information. The computers/servers which DayWeather, Inc. store personally identifiable information are kept in a secure environment. All products returned must be 100 percent complete and contain ALL original manufacturer boxes with the original UPC code and packing materials, all manuals, blank warranty cards, accessories and any other documentation included with the original shipment. DayWeather, Inc. accepts responsibility for shipping charges (both ways) on exchanged defective items within 30 days of purchase. If you receive damaged merchandise, it is best to REFUSE it back to the carrier attempting delivery. If you accept the package make sure it is noted on the carrier's delivery record in order for DayWeather, Inc. to file a damage claim. Save the merchandise AND the original box and packing it arrived in, notify DayWeather, Inc. immediately to arrange for a carrier inspection and a pickup of damaged merchandise. If you do not notify DayWeather, Inc. of damaged goods within the first 15 days of arrival, our regular return policy will override any claim of damage, and will fall under all current manufacturer restrictions. Contact Customer Relations at 1-800-584-9331 or sales@dayweather.com. DEFECTIVE returns can be returned directly to DayWeather, Inc. within 30 days from the invoice date for credit refund or replacement. Manufacturer restrictions may apply. Any item that is missing the UPC code will ONLY be replaced with the same item. After 30 days, all manufacturers' warranties apply. NON-DEFECTIVE returns can be accepted directly by DayWeather, Inc. within 30 days from the invoice date for credit. All NON-DEFECTIVE returns are subject to a 15 percent restocking fee, and the original shipping charges are not refunded. An incorrect address entered by the customer is subject to a $10 rerouting fee, and must be approved by the customer while in transit. Only defective software can be returned to DayWeather, Inc.. The return must take place within 30 days of invoice date and may only be replaced for the SAME software title. Multiple software licenses cannot be returned for refund or exchange unless first authorized by the manufacturer. DayWeather, Inc. primary carriers are the United Parcel Service (UPS) and the United States Postal Service (USPS). DayWeather, Inc. ships throughout the USA and Canada. Sorry, we do not ship internationally. UPS and USPS shipping charges based on the product weight, number of containers, and distance from our suppliers. For UPS 3-Day, 2-Day or Next Day or FedEx shipments, please call. We will modify the shipping charge if you choose an expedited service. Some smaller items (thermometers, etc.) can be sent via USPS for less cost than UPS. These items cannot be tracked and take an extra day or two to arrive. Please call if you would prefer this option. In general, Ground and Canadian orders are shipped in 1-3 business days, unless specifically specified on the product webpage. In general, APO and FPO orders are shipped in 1-7 business days, unless specifically specified on the product webpage. Shipments are based on "business days". Weekends, UPS holidays and ship days are not counted as a business day. For example, if you order 3rd Day Select on a Thursday morning, your package will not arrive until the following Tuesday (Friday, Monday and Tuesday counted as business days). DayWeather, Inc. and UPS are not responsible for delays due to adverse weather conditions or other acts of God or other natural disasters. On occasion, DayWeather, Inc. ships directly from the manufacturer or a distributor. The manufacturer or distributor may choose a different courier then UPS.